The procedures in dental practice and health programs that prevents the occurrence of oral diseases. A: Preventive dentistry means a healthy smile for your child. Children with healthy mouths chew more easily and gain more nutrients from the foods they eat. They learn to speak more quickly and clearly. They have a better chance of general health, because disease in the mouth can endanger the rest of the body. A healthy mouth is more attractive, giving children confidence in their appearance. Finally, preventive dentistry means less extensive, and less expensive, treatment for your child. A: Preventive dentistry begins with the first tooth. Visit Dr. Nader Ahdout when the first tooth comes in. You will learn how to protect your infant’s dental health. The earlier the dental visit, the better the chance of preventing dental disease and helping your child belong to the cavity-free generation. A: After evaluating your child’s dental health, Dr. Nader Ahdout will design a personalized program of home care for your child. This program will include brushing and flossing instructions, diet counseling, and if necessary, fluoride recommendations. By following these directions, you can help give your child a lifetime of healthy habits. 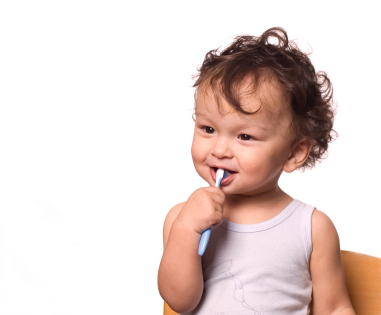 Q: How can we help your child prevent dental problems? A: Tooth cleaning and polishing and fluoride treatments are all part of your child’s prevention program. But there’s much more. For example, we can apply sealants to protect your child from tooth decay, help you select a mouth guard to prevent sports injuries to the face and teeth, and provide early diagnosis and care of orthodontic problems.